Looking for a place where all my posts on Strong Female Characters are all neatly ordered? Want to see all the scores alongside them? 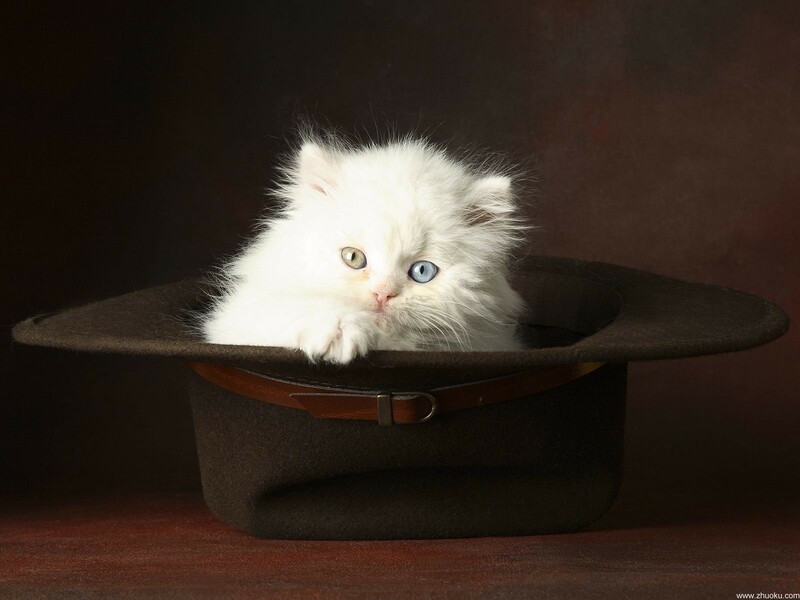 Want to see a picture of a kitten in a hat? Then have I got the page for you! NOTE: The Strong Female Characters series is now over! This is it – I will not be looking at any new characters. Enjoy! Granny Weatherwax – 10/10 PERFECT PASS! Katara – 10/10 PERFECT PASS! Sophie Hatter – 10/10 PERFECT PASS! Leslie Knope – 10/10 PERFECT PASS! Mina Harker – SUPER SPECIAL COMPARISON POST! Tiffany Aching – 10/10 PERFECT PASS! Cinderella – SUPER SPECIAL COMPARISON POST! Princess Azula – 10/10 PERFECT PASS! Jessica Jones – 10/10 PERFECT PASS! Lyra Belacqua – 10/10 PERFECT PASS! Snow White – SUPER SPECIAL COMPARISON POST! Liz Lemon – 10/10 PERFECT PASS! Toph Beifong – 10/10 PERFECT PASS! Kimmy Schmidt – 10/10 PERFECT PASS! Sleeping Beauty – SUPER SPECIAL COMPARISON POST! Little Red Riding Hood – SUPER SPECIAL COMPARISON POST! Erin Gilbert – 10/10 PERFECT PASS! Katherine North – 10/10 PERFECT PASS! Amy Santiago – 10/10 PERFECT PASS! Susan Sto Helit – 10/10 PERFECT PASS! Alice – SUPER SPECIAL COMPARISON POST! Ogino Chihiro – 10/10 PERFECT PASS! I’d love to do Xena but I haven’t seen the original series – that post probably won’t be coming for a while yet! Glad you’ve been enjoying the posts! Thanks, I’m glad you’re enjoying them! I’d love to do a post on Emma Swan – but I’m about two seasons behind so it may not be for a while yet! Could you also have a look at Korra or Asami? I know you’ve already talked about Katara, you just don’t want to talk about female characters that belong to the same universe? I’d really like to look at some more Avatar characters, actually! Korra and Asami are excellent suggestions, and I was also thinking of doing Toph or Azula too. It’s definitely not a one-per-fandom rule, but I’d like to leave a sizeable gap in between posts from the same book/film/TV series. How about Paige Mahoney from the Bone Season? Interesting suggestion – I’ll have to look into it! Tiffany Aching (I may have already suggested this!). Ask and you shall receive – she’s on next week! How about Lyra from His Dark Materials? Or Marceline from Adventure Time? Excellent suggestions – thanks very much! What about Rose from Titanic? I’d like to know how well she would do in your test, given the fact that the movie she’s in is widely regarded as very romantic. Would she automatically fail your test because of that? Thanks for the suggestion – I hadn’t thought of that! It’s no Saturday without your posts! Aww thank you very much! 🙂 I’m hoping that the Bella post will be up next week, so hopefully you won’t have to wait too long! I’d definitely like to do more themed months – really enjoyed the last one! Hadn’t thought about romance though – thanks for the suggestion! I just saw Inside Out, which is a female-driven film that has gained quite a bit of popularity, does that interest you? It’s certainly one to consider! And what about Juno? The site I previously listed points out how she is a complex and well-defined character, however there is the issue of how stories involving unwanted pregnancy generally have the woman making it her own decision to carry the baby to term and everything turning out for the better because of it. This is because abortion is a hot issue in the US, and Hollywood aims to appeal to both camps by having its female characters disregard abortion, thus allowing for freedom of choice while framing abortion as the “wrong choice,” which is problematic because it stigmatizes women who do abort. What about doing Magrat Garlick or Polly Perks from Discworld? Polly from Monstrous Regiment is one of my favorite characters and the book has a lot to say about gender! Excellent suggestions, thanks very much! I’d really like to look at Polly – she’s one of my favourites too! Could you assess some more classics? I would love to see Blanche from A Streetcar Named Desire! I would suggest Scarlett O’Hara, another classic heroine. Since Mother’s Day is in May, I would suggest a month devoted to fictional mothers. Being in the UK, Mothers’ Day has already been and gone for me! That’s a nice idea though – were you thinking of anyone in particular? I don’t want to burden you too much, I know you have a lot of requests already. I’ve been thinking about Marge Simpson for a while now, actually – I bet she’d make for an interesting blog post! thanks for the suggestions! You’re welcome. Also I saw the movie Spy last night and I think that would be worthy of consideration. Keep up the good work! And may I also suggest Clarice Starling from The Silence of the Lambs. Good suggestion – but I haven’t actually read/seen that one yet, so it won’t be for a while! Eadlyn from The Heir? I think there’s a lot about her that has flaws, and a lot of people hate her for being a whiny character, even though she’s the main character. I’d like to see what you think. You must have quite a long list by now. I don’t think I should ask who’s on it so I can be surprised by who comes up. Yep, the list is ridiculously long now! Could you do a post about Jane Villanueva from Jane the Virgin? I think Jane’s a well written character and the show manages to have Jane’s romantic life, work, school, and family dramas in a pretty good balance. She has a wide range of relationships with women which grow and change naturally. She’s got plenty of flaws that hold her back, and she has to work on them. More people need to watch this show, it’s so good! How about Eleanor from The Good Place? She definitely has flaws, being a selfish and amoral person who has to learn to be more ethical in order to justify her inclusion in the better part of the afterlife. However there aren’t a lot of other female characters with whom she has a relationship. Thanks for the recommendation! Haven’t seen that but will add it to the list. Would you be willing to do a review of Trixie Belden? She’s an interesting character from a mystery series. The publishers used ghost writers, so she isn’t always consistent. However, she seems to be a more realistic type of teenage sleuth than say, Nancy Drew, and I’m curious to see what you’d think of her. It’s certainly one to consider – thanks for the suggestion! The series is actually closed so I won’t be looking at any more characters, but thanks for your suggestion! Sarah Connor from Terminator. Is she really as cool as she’s supposed to be? The series is over now so I won’t be looking at any more characters, but this would’ve been a great suggestion! ANNIE PORTER FROM THE MOVIE SPEED 1994 !!! PLEASE !!!! I’ve actually stopped this series so there won’t be any more blog posts, sorry! Can you do rosalie and alice cullen? The series has actually finished now, so I won’t be looking at any more characters. Thanks for the suggestion though! Can you write about Marinette Dupain-Cheng/Miraculous Ladybug? The series is finished now, so I won’t be looking at any more characters. I found myself really interested in your Strong Female Characters series. After reading a few characters, I found your method really accurate. I just loved it! And I completely admired it. I have a blog, too, but I have no content in it. In order to start posting some content, I would consider it an honor if you allowed me to translate your articles and post them into my blog. The target language is Spanish. Of course I would credit you and I would state your name as clear as the water in each one of the posts. Once I finished translating all of your Strong Female Characters series, I would go ahead and start doing new articles with my own method, which would be somewhat similar to yours. What do you think? I you have any condition, please let me know it. After all, it is your work. I will be kindly waiting for your response. Thank you beforehand! Hey! First off, I’m really glad you like the blog! If you wanted to post Spanish-language translations of my existing posts that’s fine but please include a link back to the original. I’d be happy for you to post further stuff as well as long as it was all in Spanish – I might come back to the series later on, but I’d obviously want to write in English! I know you’re done with this series, however I’m still interested in what you have to say about Elle Woods, Marge Gunderson (Fargo), Eleanor Shellstrop (The Good Place), Death (from Sandman), Ariel, Princess Jasmine, Marceline the Vampire Queen, Flame Princess, Lumpy Space Princess, Kaylee Frye, Joy (from Inside Out), Tracy Turnblad, Roxie Hart, Angelica Pickles, Mary Poppins or Juno Maguff. Would it be okay if I posted about these characters? I’d be happy with that if you included a link to my blog in every post. I have officially stopped the series but coming up with the test and applying it to so many characters was a lot of work, so I’d like to have that acknowledged. Other than that I say go for it! Estella Havisham from The Great Expectations by Charles Dickens would be my favorite! I can see why – she’s an interesting lady! Yeah – she’s still one of my favourites though! How about Robin Scherbatsky from How I Met Your Mother? Or Jo March from Little Women? Excellent suggestions, but the series is closed now so I won’t be looking at any more characters! I love your posts! What about Lorelai Gilmore from GIlmore Girls? Thanks, I’m glad you like them! This particular series is closed now though, so I won’t be looking at any more characters. I know I am super super late… But thank you for sharing all this! having so many nice analysis to look and understand is a great help when I am trying to create new ones. Thanks, I’m glad you like it! Great suggestion on the character front but unfortunately the Strong Female Characters blog series is now over. I’ll definitely add the books to my reading list though!